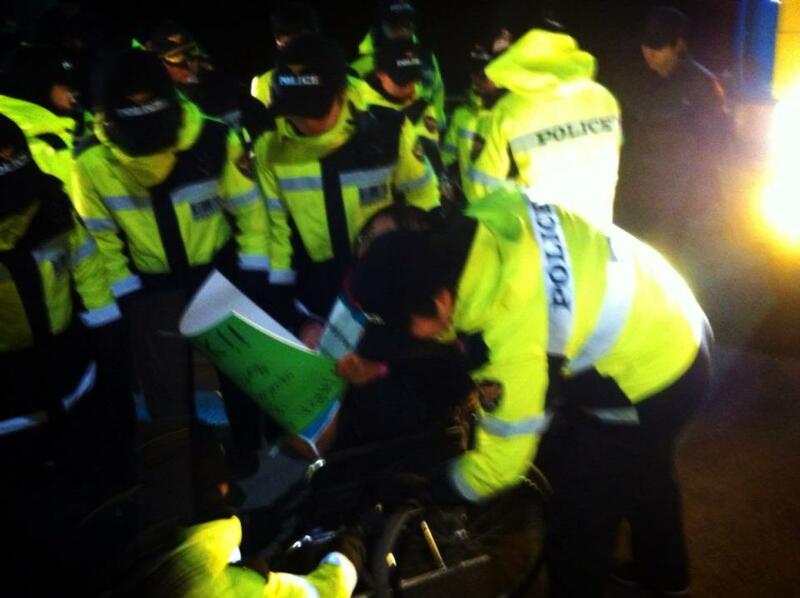 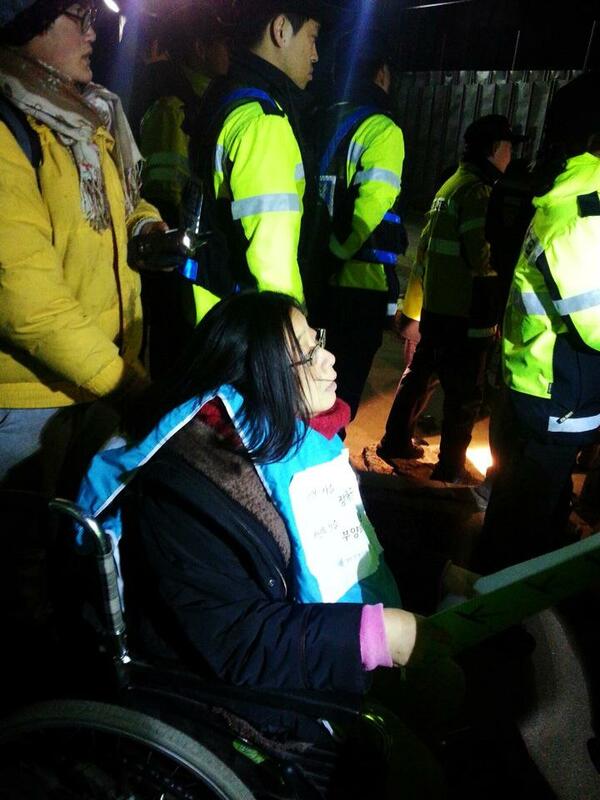 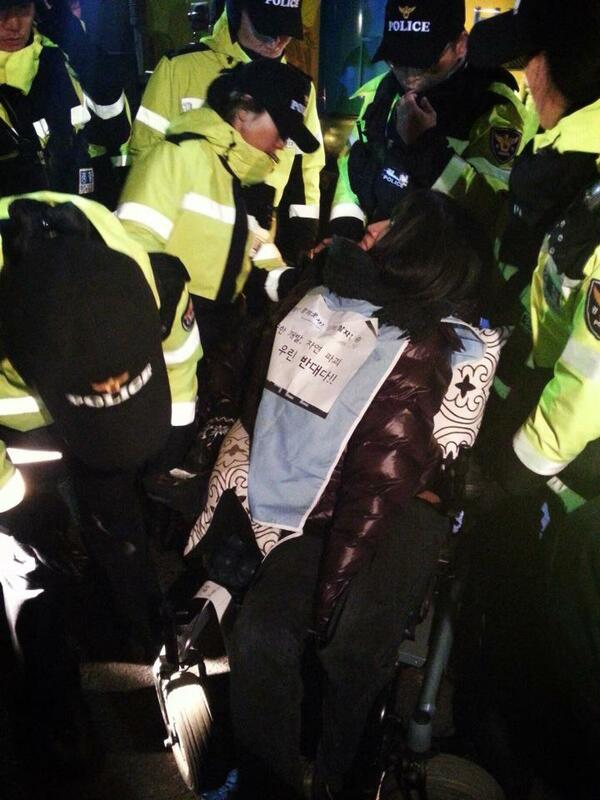 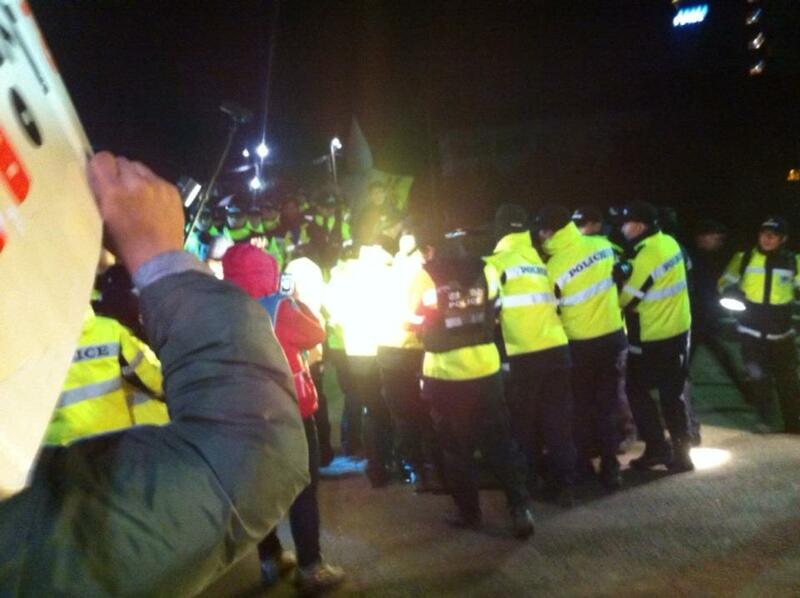 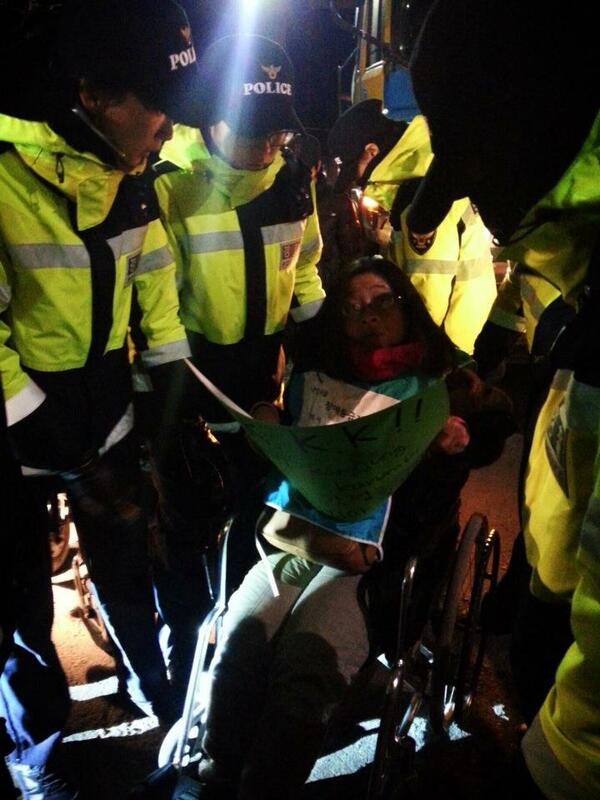 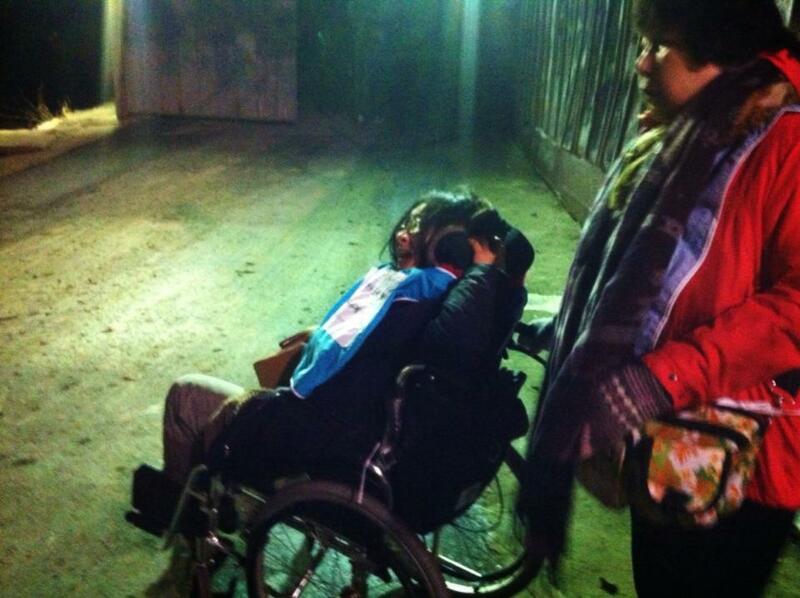 D-62: Disabled Activists Block Illegal Construction Vehicles with their Bodies! 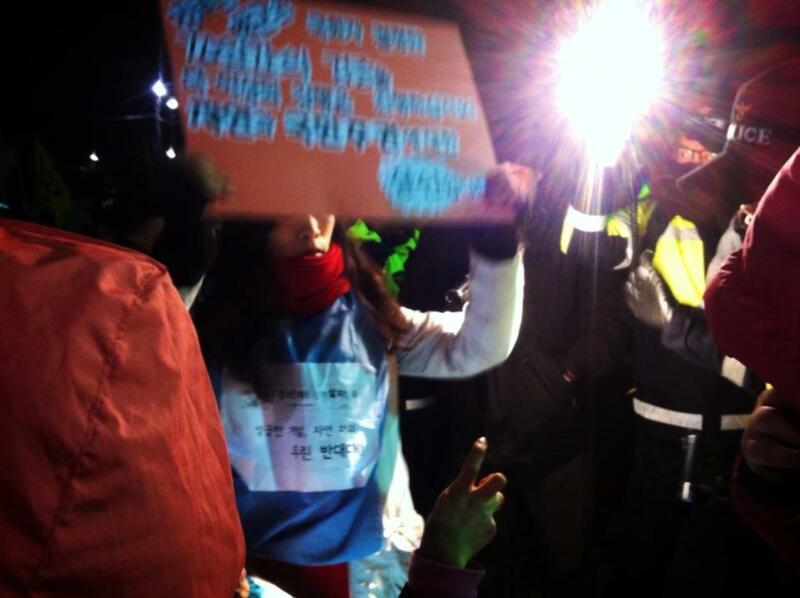 Despite the National Assembly’s subsidiary conditions on the budget which demand a 70 days’ stop of construction from Jan. 1, 2013, the navy’s enforcement of illegal construction continues on day and night. 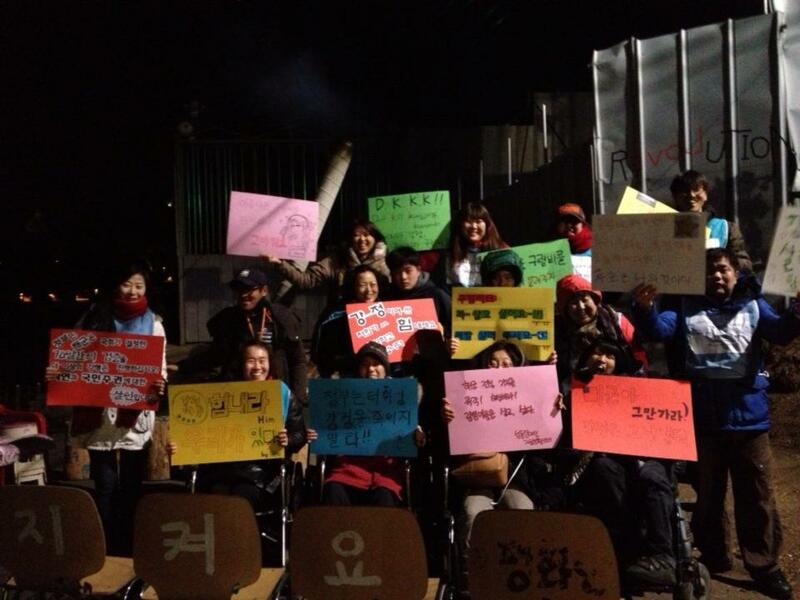 We are so grateful to these brave people who showed their warm and inspiring solidarity with Gangjeong. 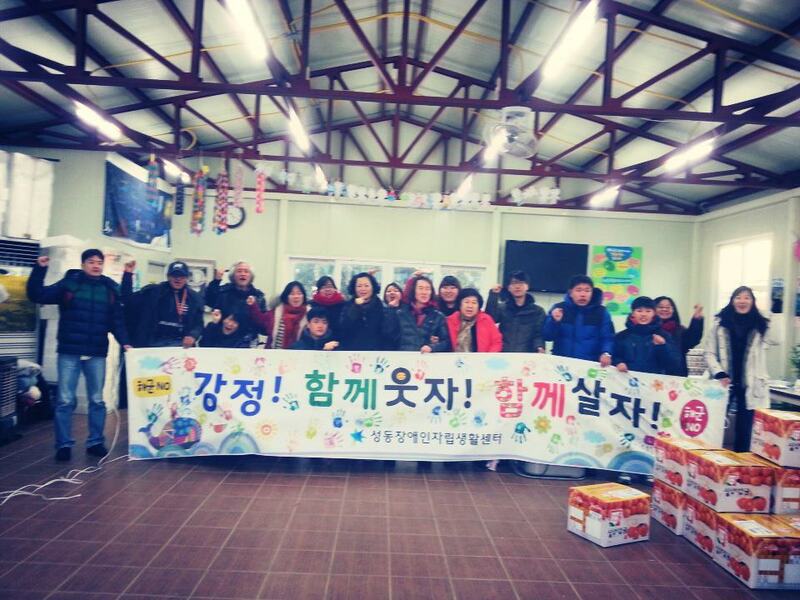 We also thank the Seongdong Center for Independant Living, especially Mr. Choi Ho-Sung and Mr. Kim Sou-Oh.